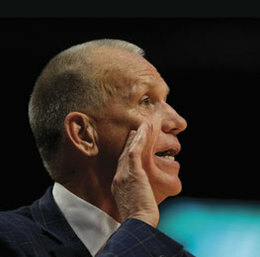 In the 1972 gold medal basketball game at the Munich Olympics, a skinny kid from little-known Illinois State University named Doug Collins calmly sank two of the biggest free throws in the history of the Games. Trailing the Soviet Union by a point with three seconds left, Collins sternly stepped to the line and stroked what could have/should have been the game’s winning points. After much controversy and two inbound opportunities, the Soviets scored at the buzzer on a full-court pass and layup to strip Collins and his American teammates of what seemed certain gold just moments earlier. Though Collins didn’t win the gold—and the team refused to accept the silver medal—his clutch free throws forever cemented him into basketball legendry. Less than a year later, he was chosen by the Philadelphia 76ers with the first overall pick and for the first time in his young life he had to live somewhere besides the small town of Benton, Ill. He chose Marlton. And the same hand that had sweetly stroked those two free throws in West Germany was now trembling in fright as Collins signed the papers for his first house. Now close to 40 years later, Collins is back where his adult life began, as head coach of the team that drafted for him. A deeply religious man, Collins insists it was his calling to come back home and coach the Sixers, to leave his cushy NBA analyst television seat that he ruled for so many years and get back into coaching after a seven-year hiatus. 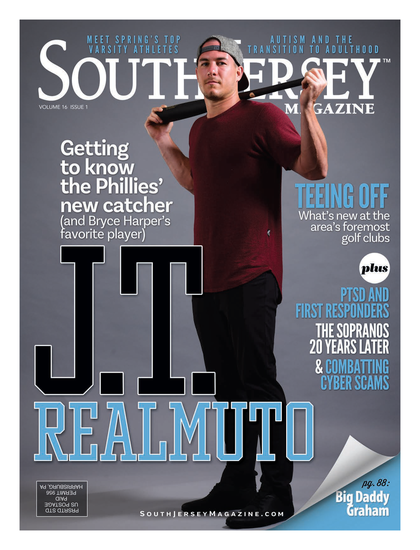 The calling, he insists, was due to the unforgettable bonds he formed as a young man living in South Jersey, first in Marlton Village for a few years, then six more at the Alluvium Development in West Berlin. He quickly found a support group. While injuries marred his all-too-short career, cutting it off after just eight seasons, Collins found solace in the life he was forming off the basketball court. There were the neighbors in Alluvium that formed a tight-knit group; the high school kids Collins would play basketball with during the offseason at the Jewish Community Center in Cherry Hill on Route 70; and the knowledge that South Jersey offered everything he could ever imagine for his growing family. “Ron Jaworski was my next door neighbor there on Silver Hill Lane, and in that development was Mike Schmidt and Garry Maddox and John Bunting from the Eagles, Gary Dornhoefer from the Flyers,” says Collins. “It was a great little community that had just been built; they had beautiful homes and it was an easy ride across the Walt Whitman Bridge to get to where we wanted to go. It was very convenient. His friendships weren’t limited to professional athletes. A constant visitor to the JCC, Collins often played with and against many of the local high school players—Tommy Love, Jeff Cohen, Al Nemore, Eddie Shaen, Joe O’Donnell and Mike Mascarelli—guys whose names and where they lived and went to school he still remembers today. Ironically, that Weber’s is now owned by Mascarelli. “I went to the JCC right on Route 70 right near Bishop Eustace,” says Collins. “I would go in there and play all the time. It’s hard now for pro athletes to do that, times have changed, you can’t put yourself in that position as a professional athlete. But at the JCC, we’d get together and play in there and it was great. As Collins stood on the floor listening to the National Anthem in Game 3 of the first round of the NBA playoffs against the Miami Heat his first season with the Sixers, he felt a wave of emotion come over him. In his first game as the Philadelphia coach, a packed house was on hand. Collins felt at that time that the fans were there to see LeBron James, Dwyane Wade and Chris Bosh of the Heat, not so much his team. But as he stood on the floor for that playoff game at the Wells Fargo Center, he knew the fans were there for his team. In the stands that night were his wife, Kathy, his daughter Kelly and husband Paul, along with their two small boys. John Langel and his family were in their familiar seats behind the Sixers bench as were many other friends. And in the southwest corner of the Wells Fargo Center sat 10 family members of Tommy Love, one of Collins’ running mates from the old days at the JCC. Upon hearing that Love, just 51, had passed away from cancer only a few days earlier, Collins insisted on setting aside tickets for as many family members and friends who wanted to attend. “Tommy Love was a great, great man,” says Collins, vividly recalling memories from many years ago. “He is part of the wonderful memories I have of South Jersey. South Jersey is a big part of the foundation of my life. I grew up in Benton, Ill., for 18 years and then I went to Illinois State for four and then I was in South Jersey for nine. The people were so great; it was a community, the kids would all be out playing. My backyard had a sport court where you could play paddle tennis, basketball; I had a swimming pool, so it was sort of the gathering area. I had lights in my backyard. Ron Jaworski and my other neighbors, we would play until midnight, one in the morning. Competitive and fun. And then we would swim and talk. It was a fun time and it was other people’s families. John Langel, who is my dearest of friends and who now takes care of my legal stuff, his son Matt and my daughter Kelly grew up together, were born about two weeks apart, and they’ve been lasting friends.